This is an interesting and challenging riddle brain teaser. 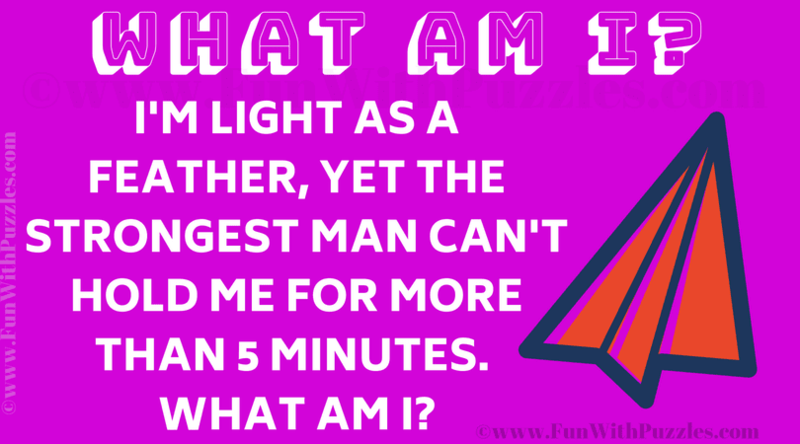 In this Riddle you have to think of something which is feather light but strongest man cannot hold it for more than 5 minutes. Can you find what it is and solve this Tricky Riddle Brain Teaser? Can you solve this Tricky Riddle Brain Teaser? Answer of this "Tricky Riddle Brain Teaser", can be viewed by clicking on answer button. Please do give your best try before looking at the answer.